The Los Angeles Times and the University of Southern California today announced that the Los Angeles Times Festival of Books, one of the Southland’s most cherished and engaging weekend celebrations, will kick off its 16th storied year in a new home at USC’s University Park campus from April 30 to May 1, 2011. Angelenos of all ages interested in famous authors, celebrity appearances, speaker panels, superstar chefs and local musicians will have something extra special to look forward to as the celebration debuts downtown. Last year, more than 140,000 people enjoyed the nation’s largest public literary festival, where more than 400 authors blended with hundreds of exhibitors representing booksellers, publishers, literacy and cultural organizations. Poetry, mystery, politics, young adult, comic book, graphic novel and manga all flavor the festival’s author readings, book signings, intimate Q&A’s, comedy, children’s activities and more. 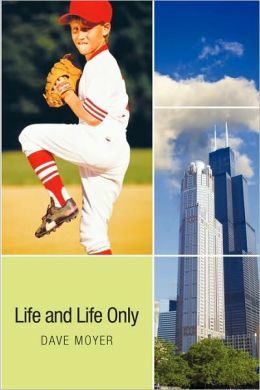 The event, which is free to the public, delivers a celebration of all the written word inspires. The Los Angeles Times Festival of Books was created in 1996 to promote literacy, celebrate the written word and bring together those who create books with the people who love to read them. Source: USC News, September 22, 2010 (Used by permission). Information on the L. A. Times Festival of Books will be available at: http://latimesfestivalofbooks.com . 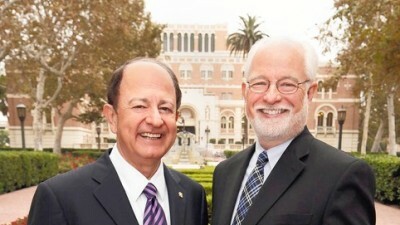 Pictured above: USC President C. L. Max Nikias and L.A. Times publisher and CEO Eddy Hartenstein.